I was hoping to catch up with some more migrants today, but it wasn't to be. Whilst chatting to ADMc, a great-spotted woodpecker flew north over the bushes. Great-spots are scarce in spring (although I did see one last February and in April 2012), so this will probably go down as bird of the day! On the Budge fields, there are now ten black-tailed godwits, there has also been an invasion of snipe in the last few days, they were all over the Budge fields today. Duck numbers continue to decrease generally and there was no sign of any pintail today. 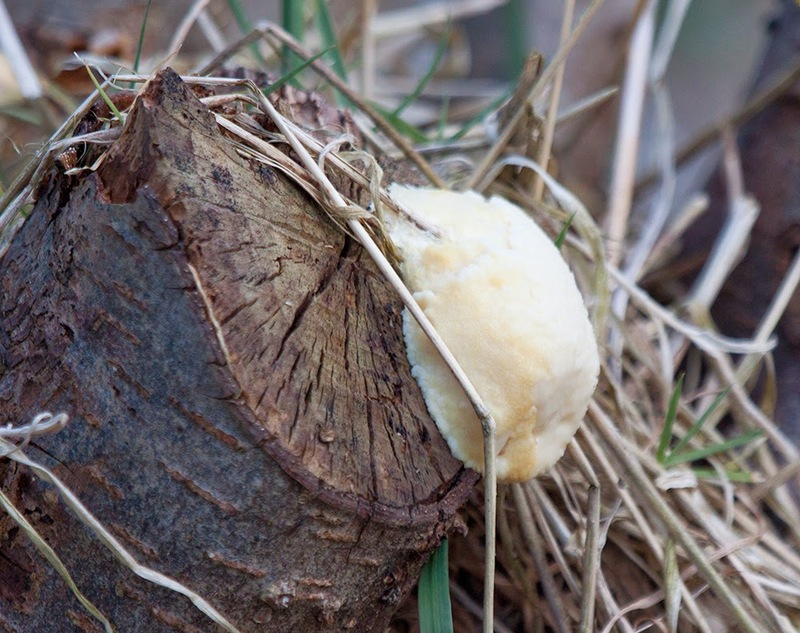 As I wandered through the bushes, I came across this on a decaying alder stump.It looked a bit like a blob of that expanding foam used for filling gaps. I think it is a slime mould of some sort - anyone care to guess at it? 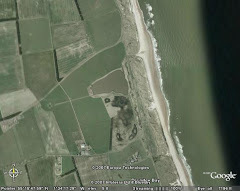 I thought I would check the dunes north of the burn for wheatears, but there were none yet. There was a big flock of mixed finches with about 20 reed bunting amongst them. 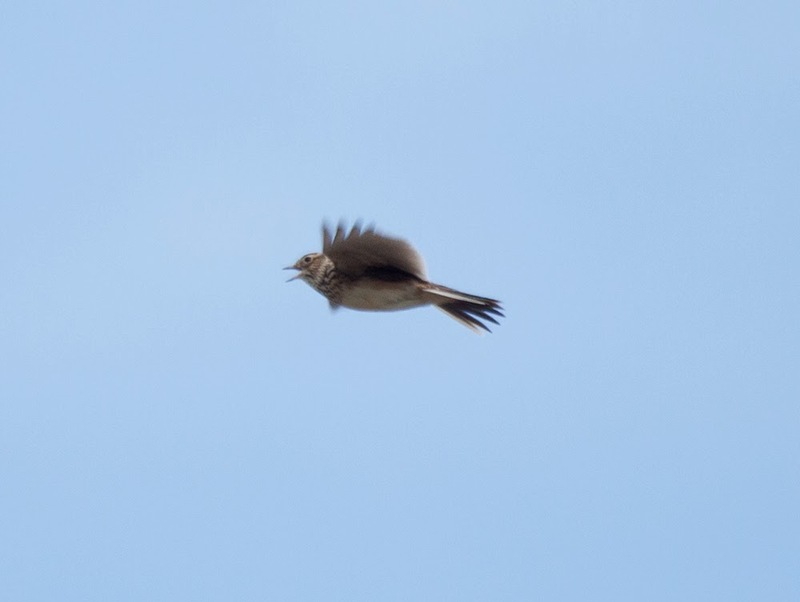 I stretched my photography skills by trying to snap a skylark as it ascended. Slimemould: Reticularia lycoperdon. Looks different at various stages of growth. Lots around growing on Alder trees around Morpeth at the moment. Thanks Nigel, I thought if anyone knew it would be you!